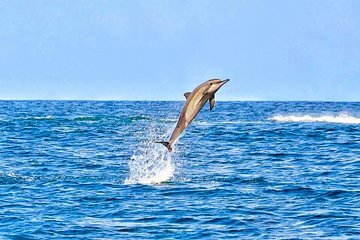 See wild dolphins in their natural environment during this 3-hour tour from Port Louis. Start your day with a delicious continental breakfast to fuel up before your adventure. Then, sail out to Tamarin Bay on a speedboat and learn to identify the various species with your crew and learn the proper swimming procedures for interacting with dolphins. Snorkel around ‘The Aquarium’ to discover tropical fish and corals, if there’s time.